North Gainesville Baptist Church is an independent, fundamental Baptist Church using the King James Bible. Our philosophy of ministry is very simple: we want to see the lost saved, and the saved spiritually growing and serving Christ. We have a vision and determination to fulfill God's Great Commission through Gospel preaching and worldwide missions. Our services are centered around practical preaching and teaching from God's Word, Christ-honoring music, and warm and friendly fellowship. We look forward to having you visit our services and the opportunity to get to know you! 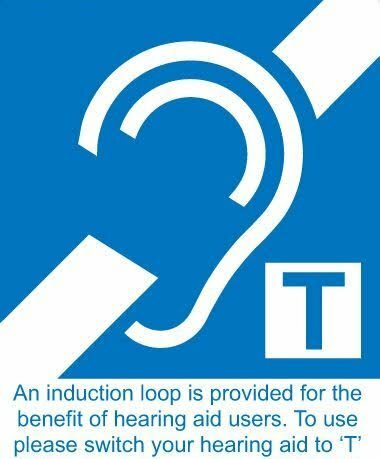 In order to better serve and minister to everyone in our services, we are excited to announce that we have recently equipped our sanctuary with telecoil to accommodate those who use hearing aids. Telecoils double hearing aid functionality by enabling the instrument to serve as a customized, wireless loudspeaker. If you have any questions, please see one of our sound technicians or contact our church office.